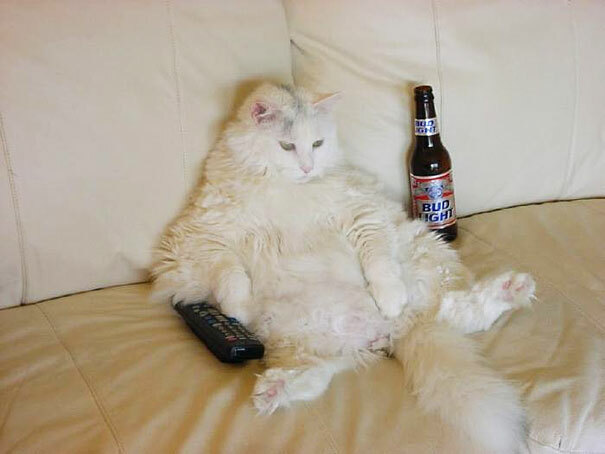 It is very funny picture of white cat which is sitting on the bed holding a remote of television and drinking a beer. People often kept beautiful cats as pet and trained them for different tasks. Bud Light is an American-style pale lager beer bottle placed aside of a white cat. Picture shows that after drinking a beer white cat becomes senseless and left the remote of television.